If you are pregnant, this is a must read article for you. Pregnancy is the greatest gift to any women. But sometimes many common symptoms including nausea, vomiting, colds, yeast infections, varicose veins, insomnia, and haemorrhoids can spoil your mood. Thus, today we have list of best herbs that can be consumed any any pregnant women to get rid of these problems. This can be the effective and natural way to treat the symptoms. UTI is the most common symptom observed during the period of pregnancy. This can be easily cured by taking antibiotics, but they are not considered a natural way. Cranberry juice can be taken to lower the risk related to UTIs. You can also take cranberry in a capsules form to get rid of this problem. Nettle leaves are packed with many nutrients like iron and calcium. This also has good amount of folic acid that is often advised in pregnancy. 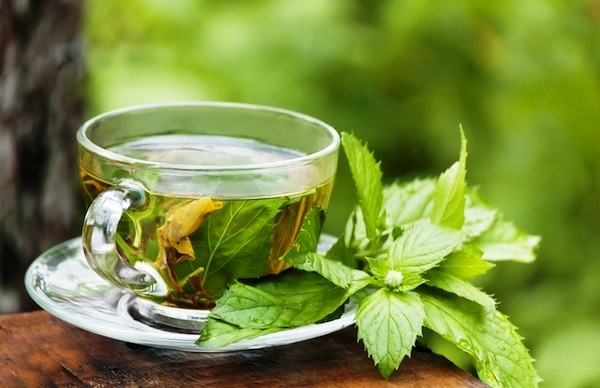 Nettle is useful to maintain healthy kidneys and adrenals by relieving fluid retention. This helps your vascular system to protect from varicose veins and haemorrhoids. This herb is also a best way to stimulate breast milk. Nettle tea tastes green and gets easily blended. Pregnant often gives you disturbed sleep with dreams or growing belly discomfort. Chamomile can be considered the best herbs to help you feel relaxed and gentle sleep. It can also soothe the belly and reduce stress with its awesome taste. You can take this daily for best effect. Dandelion root tea is best for healthy digestion and bile. This adds to quick relief from the problem like constipation. It can cleanse and strengthen your liver and detoxify it from harmful effects. The liver helps in breaking of several hormones, which may not be required by the body after giving birth. Dandelion root tea is packed with calcium and iron that makes this a best morning beverage. Intake of dandelion leaf can soothe fluid retention. Ginger is well known for its aroma and spicy taste. It is widely used in culinary throughout the world, especially in Indian, Thai and Chinese cuisine. Ginger has many therapeutic uses, even in pregnancy. This can safely and effectively cure the problem of morning sickness. This can be taken in many ways during your pregnancy period, like in the tea or as a capsule. Add this to your warm or cold tea to help you soothe your sick stomach. You can also add ginger in the warm water or in a juice. You can also take ginger candies and crystallized ginger that tastes delicious to give you relief from morning sickness. It is advised to take ginger in few quantity to sooth your nausea or vomiting problems. Red raspberry can be useful to have healthy pregnancy. This also tones the uterus and prepares you for the baby birth. It can speed up the labour and reduce any risk during the birth. Red raspberry leaves don’t tastes that good, but you can surely add them to spearmint and rose hips for a delicious tea. This can consumed daily for best effect. Peppermint Leaf is considered the best herb to give instant treatment from morning sickness and flatulence. Oats and Oat Straw is filled with nutrients like calcium and magnesium. This is the best remedy to get relief from restlessness, stress, anxiety and irritated skin. This also lowers the re- occurance of leg cramps and stimulates your digestion. Oats and Oat Straw is useful to boost blood circulation to the parts like uterus and placenta. Pregnant women often suffer from changes in natural hormone in their period of nine months. This adds to stuffed nose, hard breathing, colds, fever and cough. Echinacea is considered the best remedy to get you relief from the symptoms and problems like colds and coughs. Alfalfa has many nutrients and minerals including chlorophyll and vitamin K that is needed for your blood clotting. Intake of alfalfa tea or tablet during the few last days of trimester in pregnancy can reduce postpartum bleeding and risk of haemorrhaging. Alfalfa is also well known to stimulate breast milk, since they have many essential vitamins and minerals. Alfalfa is also useful to reduce the increased level of diabetes during pregnancy. This can effectively maintain healthy pituitary gland functioning, reduce any swelling, aid in better sleep and good bowel functioning. Red clover can be useful to calm your nerves, tone the uterus, and maintains the level of hormones. They also contain good amount of calcium, magnesium, protein, and vitamins that is considered best for fertility. This oil can be massaged to get some relaxation during pregnancy. This herb is beneficial for pregnant women with iron and blood deficient. This also benefits the delivery loss of oxygen to the mother and toddlers cells and tissues. You can use the root of this weed to increase the level of iron required in pregnancy. This also helps in regulating bowel moments with some nettle leaf tea. Hope this article can give you relief from the problems and bad symptoms during those nine months. Please leave us a feedback about the article or any suggestion that was helpful for you.